Despite the recent political turmoil and health issues Brazil has had to deal with, the Olympics are going ahead and about to start in Rio. Worldwide sporting events are always a great opportunity for children to learn about the world from the comfort of their home. There are millions of resources out there about the big nations of this world when it comes to their achievements in the Olympics. Portugal is not a big nation when it comes to the Olympics. They have only ever won 23 medals (total) in the summer Olympics and only one in the last round in London in 2012 (a silver medal in canoeing). 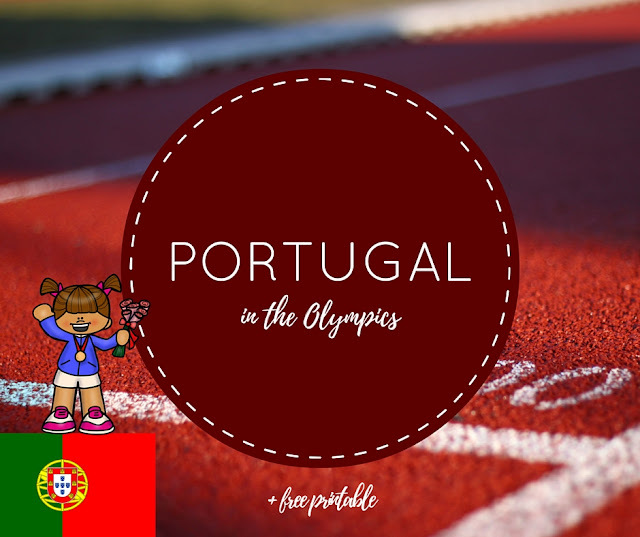 Yet, as Portugal is an important part of our culture I felt it was my duty to show my children a little bit more about Portugal and not forget about its representation in the Olympics. 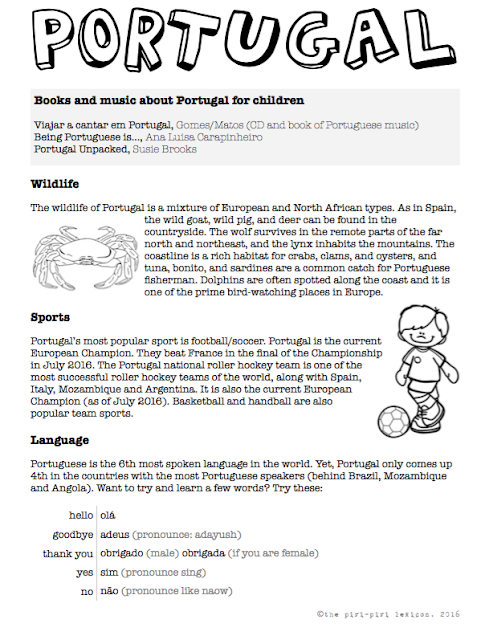 Portugal matters this time round too because of its strong ties to Brazil, the host country. 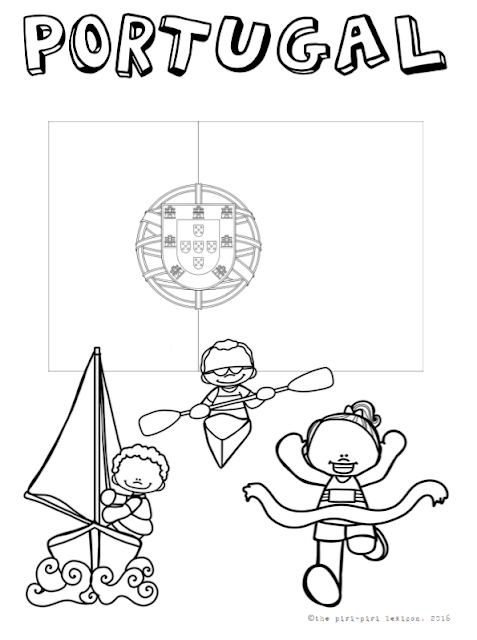 and plenty of colouring opportunities. Hope you enjoy it. Download it here. 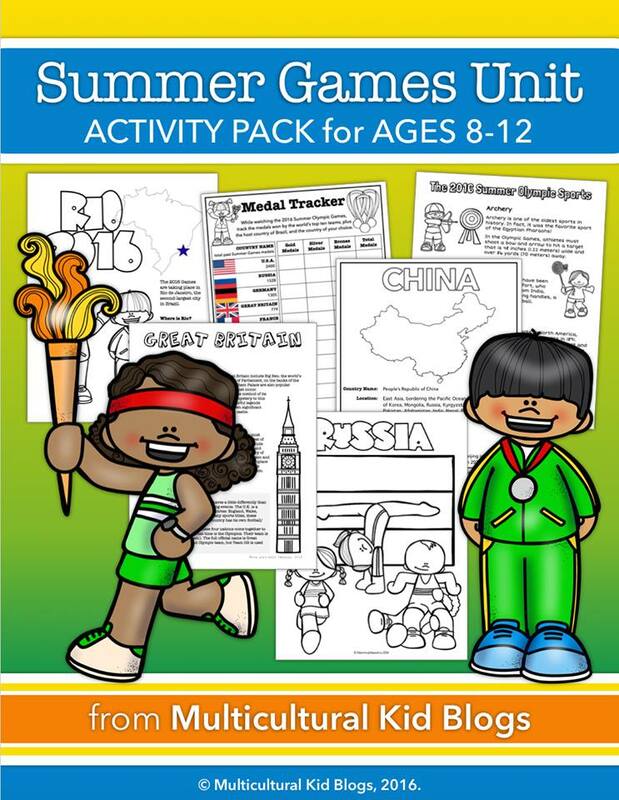 If you are going to be watching the Olympics with your children, here is a great way to have even more fun and to add to their learning experience. 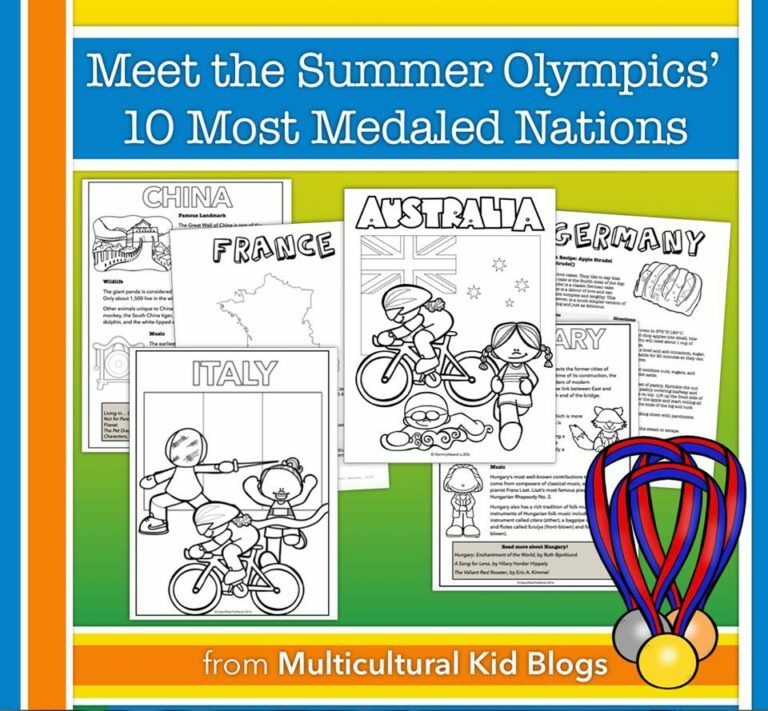 The Olympics are a great opportunity to learn about the world as countries from around the world compete. And you don't need to go to Brazil to do it. I am really excited to be sharing this with you today. 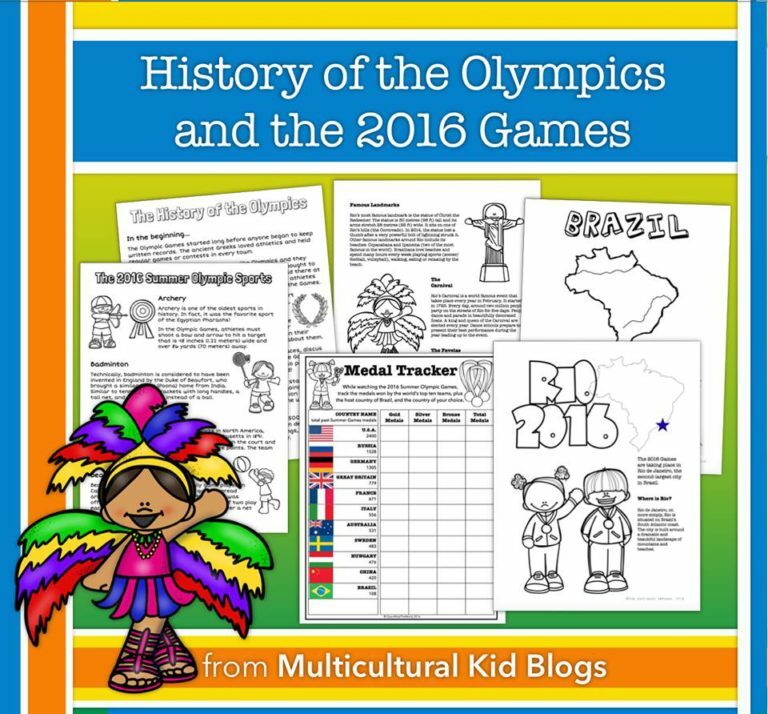 Over the past few months, myself and two other wonderful mums, educators and bloggers (Monica from Mommy Maestra and Julie from Open Wide the World) have prepared for you this amazing 100+ pages document full of information, games and worksheets about participating countries, the host, the sports, etc. 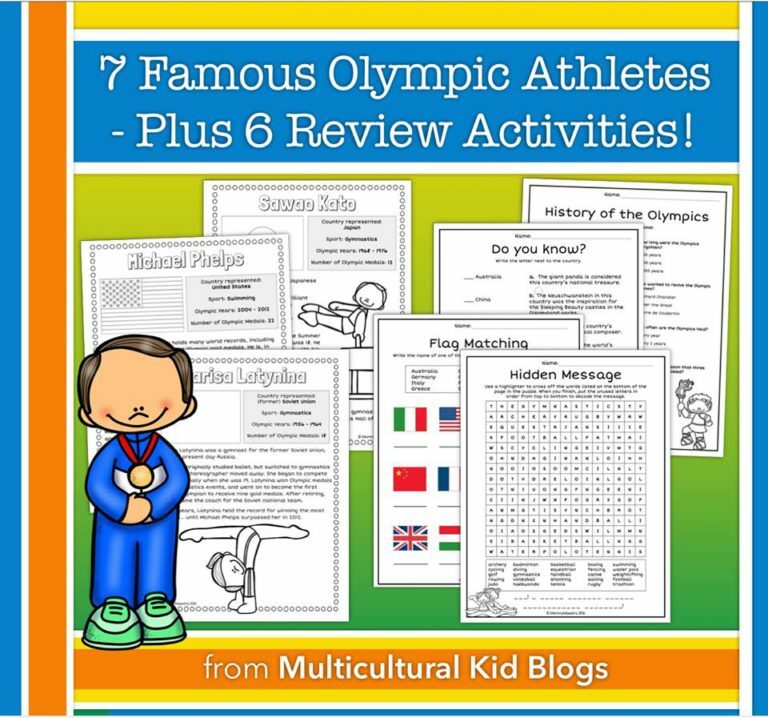 • additional worksheets that allow students to show what they’ve learned, such as flag matching, word search, matching, fill in the blank, multiple choice, medal tracker and trivia. An answer key is included, as is a list of sources referenced for each section. These fun activities are designed for children ages 8 – 12 roughly. I know I will be adapting part of it for my 6-year-old. You can purchase this amazing printable here over on Multicultural Kid Blogs or on their Teacher Pay Teachers store. 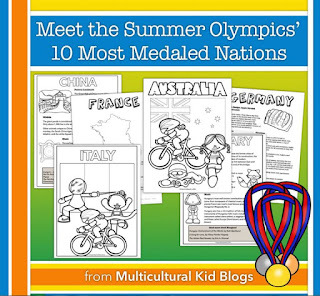 Welcome to our Olympics for Kids series! 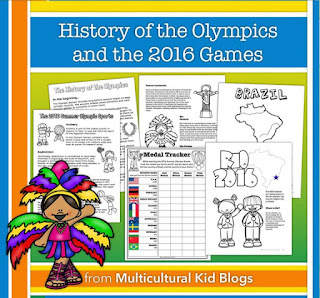 The Olympics are a wonderful opportunity to teach kids about the world and explore cultures together.